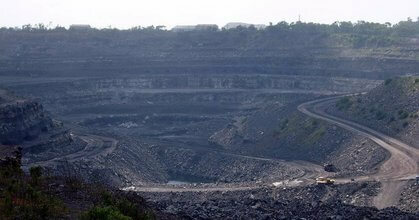 Jharkhand is basically known for its Mineral resources and the Tribal population. Around 27% ST and 13% dalits are residing in this region. There are 32 tribes. Out of 32 tribes 9 tribes are primitive tribes. These PTG are now known as Particularly Vulnerable Tribal Group (PVTG).Now this community is very poor and illiterate. The Paharia (PVTG) community is a marital race. The first freedom fighter of India was Tilka Manjhi (1784). He was from Paharia tribe. His original name was Jabra Paharia. He fought against British rule, landlords and moneylender. His movement legacy was carried forward by Sido,Kanho, Chand, Bhairav, Phulo and Jhano ( 1855).and Birasa Munda.(1900). Here we need to discuss about the area of Santhal Pargana. Dumka is the Head quarter of Santhal Pargana. Dumka is also the Sub-Capital of Jharkhand. This area comprises six districts. Deoghar, Jamtara, Sahebgunj,Pakur,Godda and Dumka. Sahebgunj and Pakur are the border districts with Bihar and Bengal. Sahebgunj is the only district where Ganga passes through Jharkhand. Pakur is also the border district with Bengal and near Bangladesh. There is best quality of stone chips available in Pakur and Sahebgunj districts. Paharia, Sauria Pahari and Mal Paharia (PVTG) all are residing on these mountains. This is their traditional habitat. They receive food and other means of livelihood from these mountains and agricultural land. These PVTG are the Owners of the mountain .They are the Raiyat (Occupant), but very poor and illiterate. Outsider Mafia, Contractor and Middleman are taking Lease, from the Govt. These Lease holders are taking lease from Paharia people at very poor rate. There is illegal nexus among Mafias, Govt officials and Contractors in the State. There are many Stone Crusher Machines in this region. Powerful Lease Holders are destroying these mountains. According to media report there are only 267 Stone Mining lease and 287 Stone Crusher lease. But there are many illegal Stone mining and Crusher machines. Situation has changed, now the owner of the land became the labourer in the Crusher Machine. These PVTG are the worst sufferer of this system. Paharia and other local people are suffering from dust and pollution and causing different types of disease (illness) like T.B, Skin diseases and respiratory problem etc. Constitutional Safeguard’s This area of Santhal Pargana comes under PESA (Panchayat extension to scheduled Area) meaning 5th scheduled of the Indian Constitution. In the PESA area Gram Sabha has decision making right. This is the violation of the constitutional right of the tribals. This is the also violation of the Samta Judgement(1997). An Insult to Marital Race Ten years back in 2006 when Arjun Munda was the C.M of Jharkhand, he has announced to set-up a Paharia Battalion. In Paharia Battalion a matric passed student was to get employment opportunities. But nothing has been done so far in this regard.